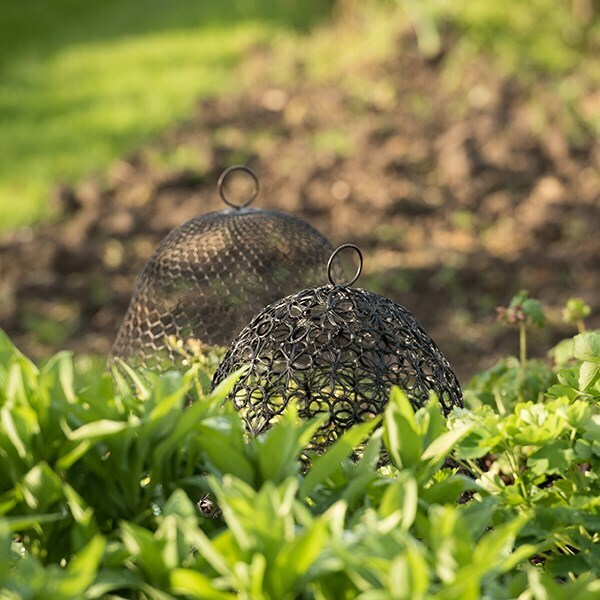 Keep precious crops from being nibbled or trampled during growing season, and add character to the garden when plants have died back for winter. 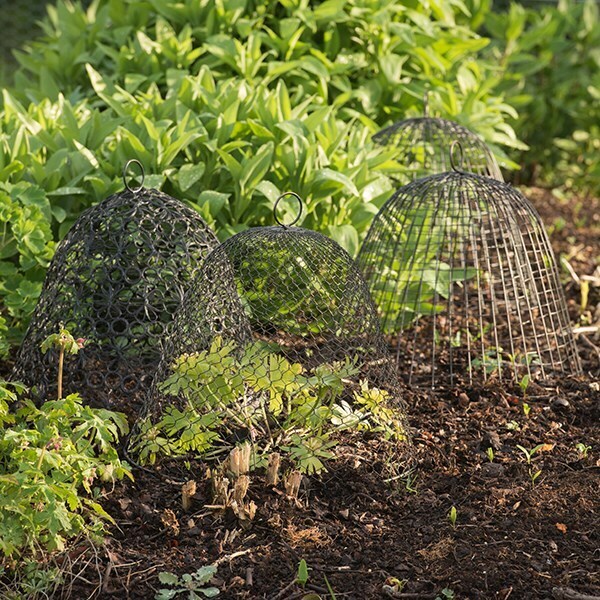 These pretty dome cloches offer robust protection from hungry foxes, rabbits and other wildlife - and prevent damage from stray footballs and curious pets - while looking great in your veg patch or border. 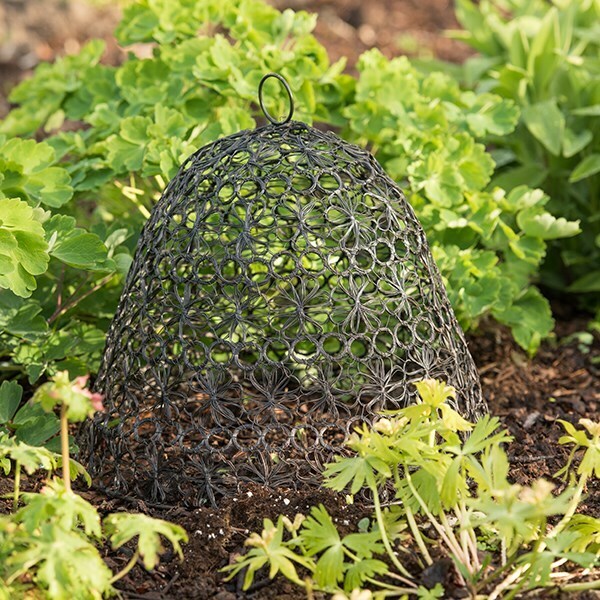 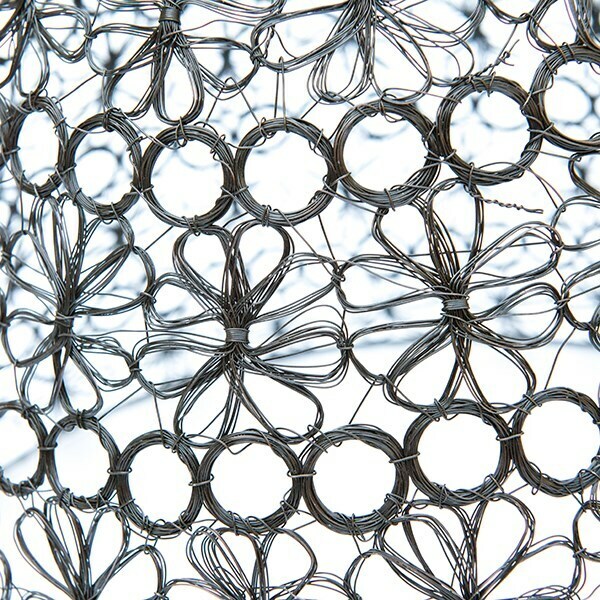 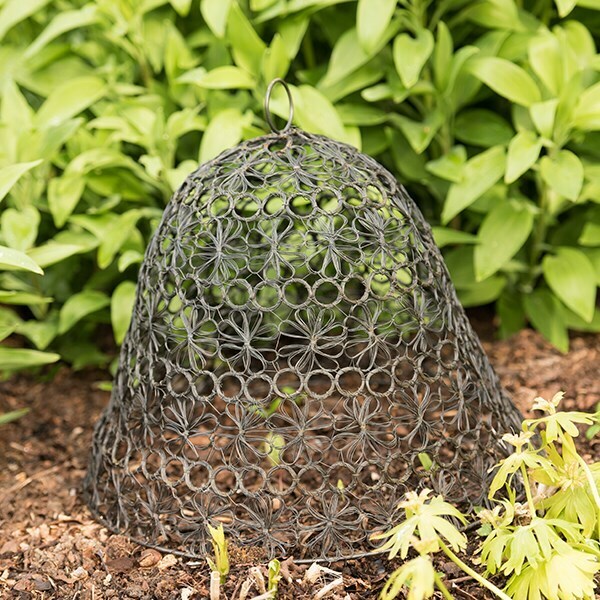 Made from 4mm steel rod and wire with an attractive floral weave, the cloches have sturdy ring handles for easy transportation around the garden. 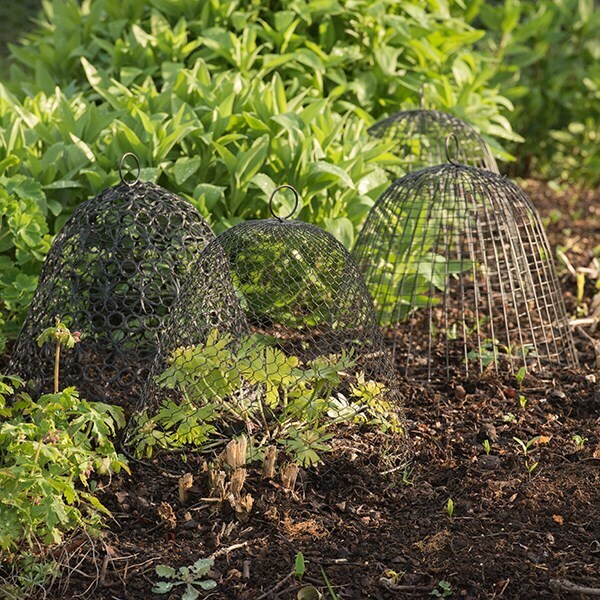 When not in use, they can be neatly stacked for compact storage in the shed.